Note: I’ve done this using Windows 10 in January 2016. Before we start here, if you want to know more about the DJM 2000 in general, take a look at my in-depth look at the mixer as a whole. Begin by getting the mixer to display your current version. 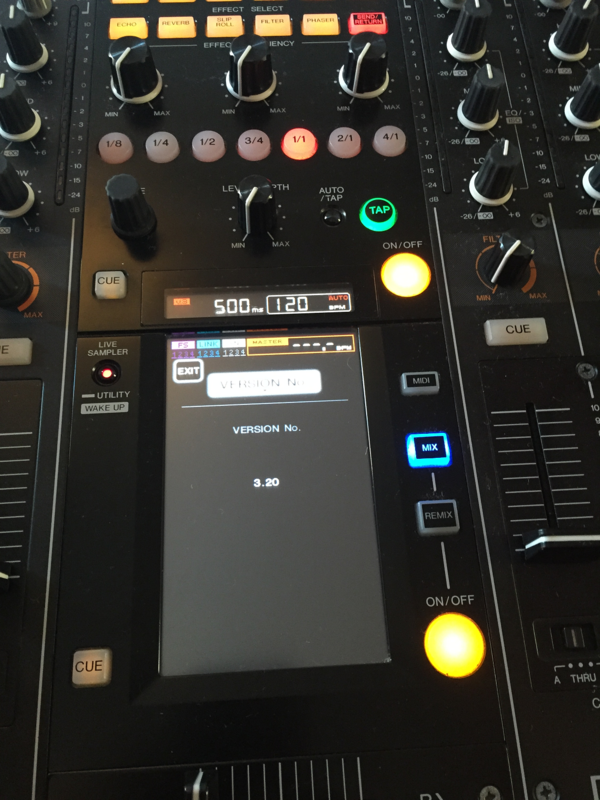 To do this, while the mixer is on, press and hold the Live Sampler button to the left of the touch screen. 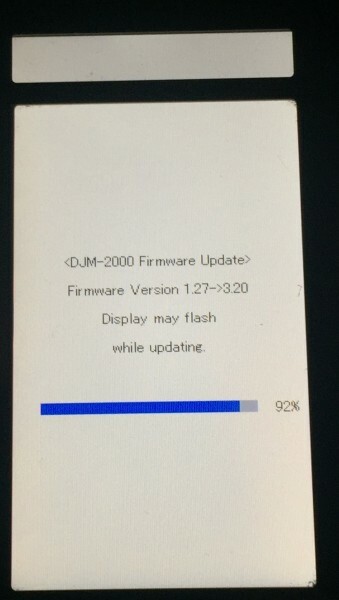 Choose “Version Number” and it’ll display it. Naturally I didn’t take a photo before the upgrade when I was on version 1.27, but here’s the end destination – version 3.20! Download the latest firmware updater – available for both PC and Mac. Just in case it is ever useful, I’m got a mirror copy of the Windows firmware updater for version 3.20 here. Extract the zip file. Then we have to establish some kind of communication between the PC and the DJM 2000. All the guides I’ve read suggest that the DJM 2000 should be connected directly to the Ethernet port of the PC you are using. Apparently it has its own DHCP server and will create a private network if you set your PC to look for a DHCP server there. I tried this and couldn’t get it to work. I’d like to think I know my arse from my elbow in that realm at least. So instead I connected the DJM’s “Computer 1” port to my LAN while the mixer was off. I then held down both the beat effect and remix effect on/off buttons while switching the mixer on. My router accepted a DHCP request from the DJM and assigned it a local IP address. I could see that it was listening on port 58003. The mixer’s display said it was waiting to receive an update. Then I ran the executable file in the downloaded zip file. I permitted network activity on any network to that application. 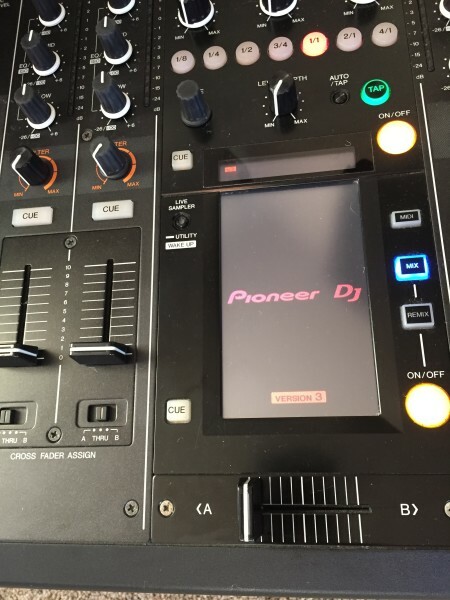 It detected the mixer and uploaded the new firmware. The mixer presented a bar chart on its display which tracked progress. After that, I turned it off and on again as instructed, and hey presto! Version 3 was loaded. Now you’re on the latest hardware, I bet you’re wondering what you’re missing out on by not having a DJM 2000 Nexus! The difference might not be as great as you’d expect. Check out my summary of the situation.